BAA is undertaking a multi-million pound comms review as it seeks to rebound from key blows to its comms strategy. The Spanish-owned operator of six British airports, most notably Heathrow, launched a pitch process across its roster of agencies last month. The news has put agencies Blue Rubicon, Finsbury, Mischief and Regester Larkin on alert. They cover media relations, public affairs, consumer PR and crisis comms respectively. The combined value is expected to be £4m over four years. The news comes after a period in which BAA lost its campaign to build a third runway at Heathrow and saw widespread criticism of the airport's comms response to its closure during the snow last year. Heathrow also faces stiff competition from plans by the London Mayor to launch an airport on the Thames Estuary, triggering fears jobs could be at risk. BAA director of media and PR Simon Baugh told PRWeek the company was expected to appoint up to five agencies, but that he intended to break with previous agency handling and use them on a project basis. The successful agencies will be on board for three years with the potential to remain for a further year. While the majority of consumer PR and media relations activities will focus on Heathrow Airport, the financial comms and Competition Commission-related work will be more group-level. 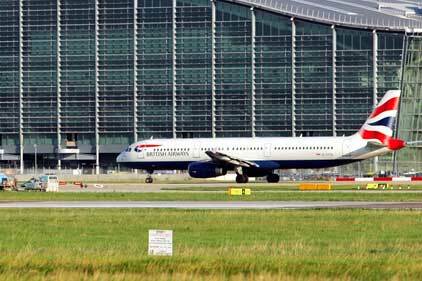 In January a group of 30 Conservative MPs urged the Government to rethink its rejection of a third runway at Heathrow. Last month, PRWeek revealed that BAA's Stansted Airport had enlisted Fishburn Hedges and sister agency Seventy Seven to help boost declining passenger numbers. Crisis Currently advised by Regester Larkin, Heathrow has been, and is expected to continue to be, a focal point for major crises. Competition Finsbury has advised BAA on the Competition Commission's call for the operator to sell off airports including Gatwick. Brand The airport needs to keep its brand firmly in the spotlight. This is presently handled by Mischief.